BOOK FOR SEPTEMBER 2017 AND RECEIVE 5 NIGHTS FOR THE PRICE OF 3! Tweedsmuir Park Lodge is known for two things: grizzly bear viewing in late summer, and world-class heli-skiing all winter. 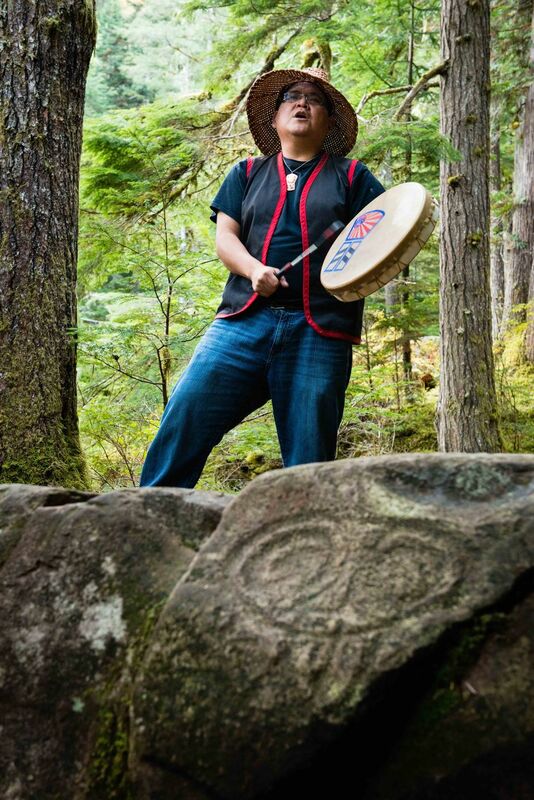 This is the ultimate Pacific Northwest destination with First Nations cultural experiences not to be soon forgotten. Tweedsmuir Park Lodge is known for two things: grizzly bear viewing in late summer, and world-class heli-skiing all winter. 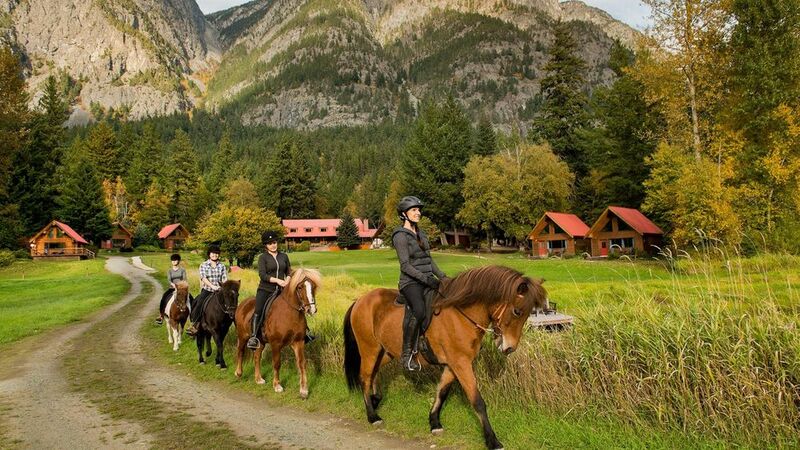 Tweedsmuir Park Lodge is one of the oldest lodges on the west coast of Canada. 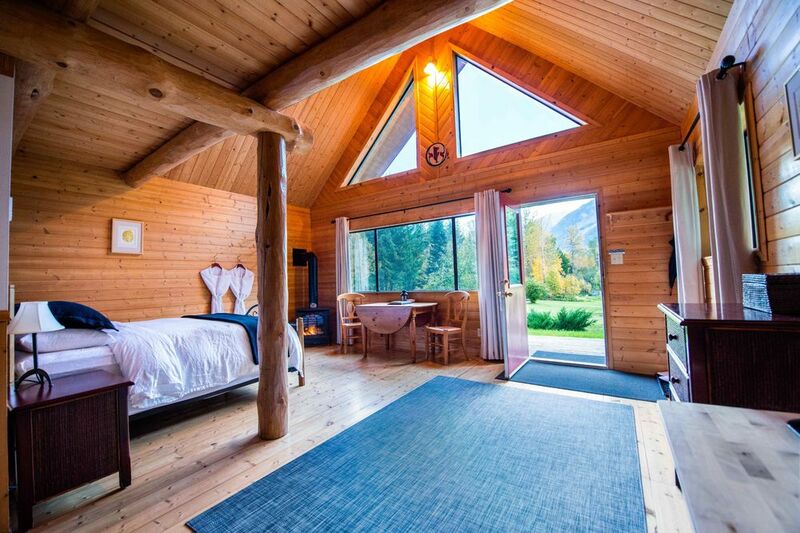 Nestled on 60 acres of private wilderness within Tweedsmuir Provincial Park, it is one of the few lodges in the largest protected park in British Columbia (i.e. you have it all to yourself). The dramatic views during the plane ride in will set the stage for what's to come: sweeping mountain vistas sliced in two by the beautiful Atnarko River, grizzly bears galore during the salmon spawn in the late summer and fall, and trails on which you can hike, mountain bike, or ride horses without ever needing to yield for oncoming traffic. In the winter, Bella Coola is the ultimate destination in British Columbia when it comes to heli-skiing. With 2.64 million acres of skiable terrain in the Coast Mountains, the entire area is 499 times bigger than Vail, 325 times bigger than Whistler and Blackcomb combined, and 90 times bigger than the whole Trois Vallées. It's even bigger than the entire Swiss Alps. Spend your mornings heli-skiing surrounding peaks then wind down with an afternoon fly-fish within sight of your cabin. Warm up before dinner in the sweat lodge or hot tub, the perfect way to round out a day in the Canadian wilderness. The ultimate destination for grizzly bear viewing, fly-fishing, and heli-skiing, with First Nations cultural experiences not to be soon forgotten. "WE RODE ICELANDIC HORSES, TRACKED GRIZZLIES ON FOOT, EXPLORED PETROGLYPHS WITH A GUIDE FROM THE FIRST NATIONS, AND DINED ON DELICIOUS SALMON AND STEAK." 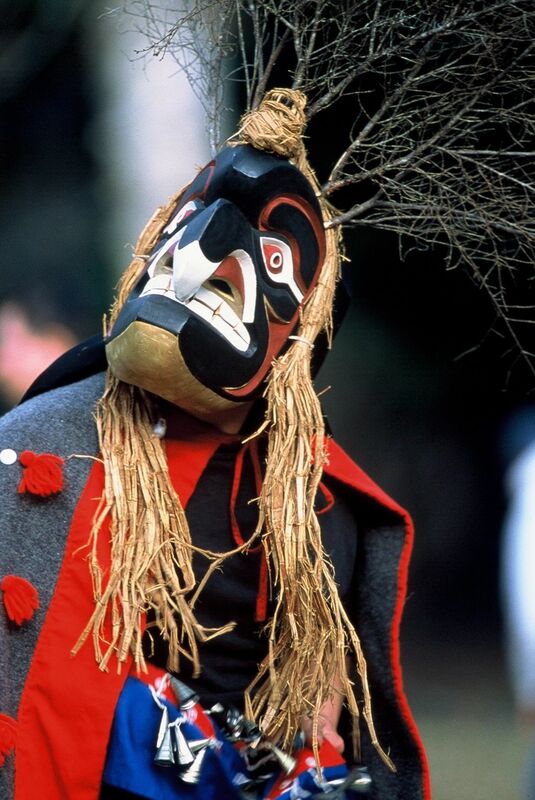 This nine-day tour is the very best of British Columbia scenery, wildlife, and base camps. 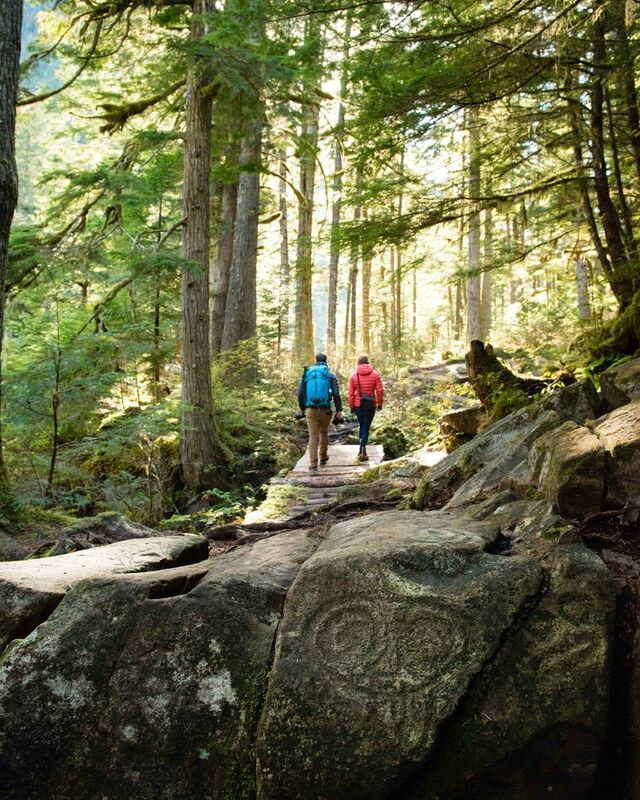 You'll go everywhere from the bustling Vancouver city-center to the most remote coastal peaks and sea-shores. Outside GO's founding family takes to the skies to explore the newest offerings on North America's Pacific Coast. From shredding singletrack in Slovenia to hiking glaciers in Alaska, we've got the perfect ideas for heading north next summer. Let us plan your perfect trip! Join GO on a handpicked trip to the Southern Hemisphere this winter. Picture yourself learning to surf in Nicaragua, hiking in Namibia, or fly-fishing in Argentina. The founder of Clayoquot Wilderness Resort on conservation, helicopters, and his new exclusive camp high in the sky. Book your stay at remote Nimmo Bay in British Columbia with Outside GO and enjoy a complimentary five-star meal aboard a private boat. Get closer to the stars than ever before at the newly opened Cloud Camp at Clayoquot Wilderness Resort on Vancouver Island. A launchpad for adventure, Nimmo Bay on Vancouver Island is the perfect balance of blissful solitude and jam-packed action.